U.S. agents have arrested 30 illegal immigrants thought to have crossed into San Diego through a cross-border smuggling tunnel from Mexico, U.S. Customs and Border Protection (CBP) said. 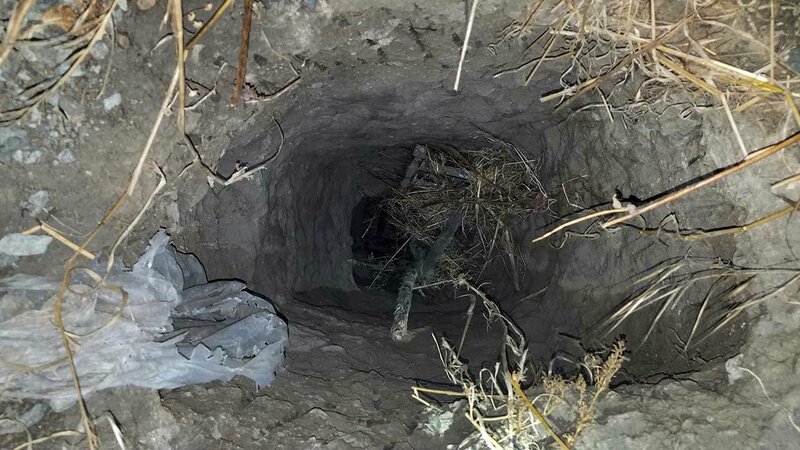 The agents discovered the tunnel after encountering several people who had apparently just been smuggled into the California city, near the Otay Mesa port of entry, early Saturday, CBP said. "US Agents searched the area and discovered a crude opening in the ground with a ladder inside and determined that is was a smuggling tunnel. The tunnel's exit is located just north of the secondary fence in the vicinity of the Otay Mesa port of entry," it said in a statement. "The 30 aliens are now in Border Patrol custody pending further questioning." CPB said the group consisted of 23 Chinese and seven Mexican nationals. "While subterranean tunnels are not a new occurrence along the California-Mexico border, they are more commonly utilized by transnational criminal organizations to smuggle narcotics. However, as this case demonstrates, law enforcement has also identified instances where such tunnels were used to facilitate human smuggling," it said. The San Diego Tunnel Task Force is investigating the tunnel in coordination with law enforcement in Mexico. "Preliminarily it appears this latest tunnel may be an extension of an incomplete tunnel previously discovered and seized by Mexican authorities," CBP said.